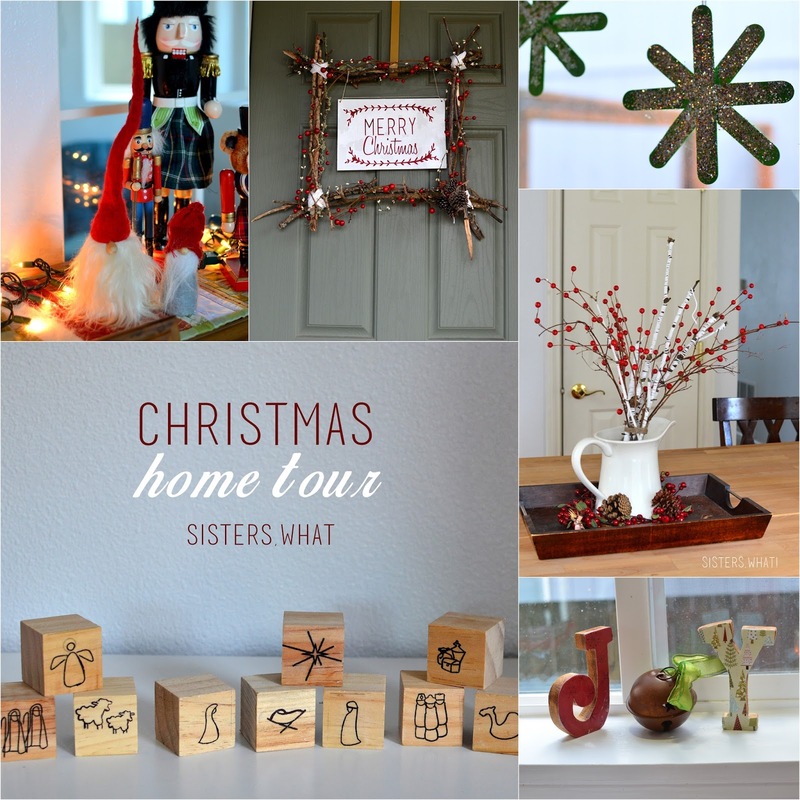 ' Christmas Home Tour - Sisters, What! 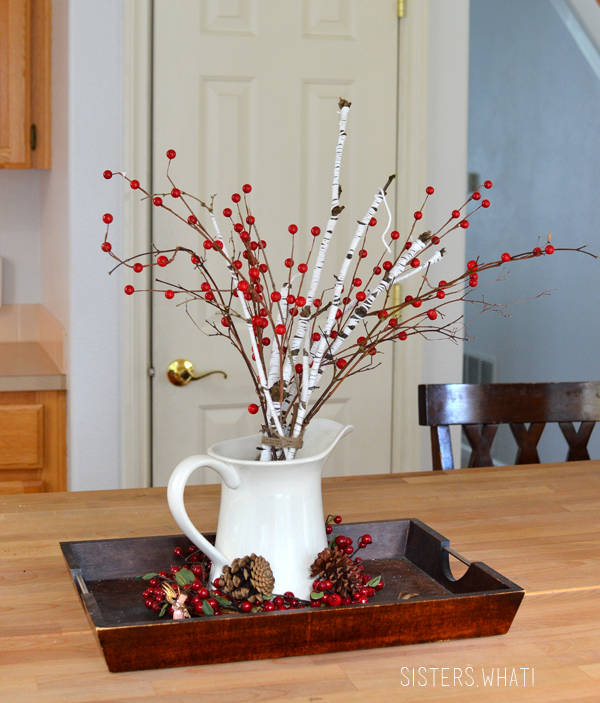 Today we're joining some other bloggers in a Christmas Home Tour. 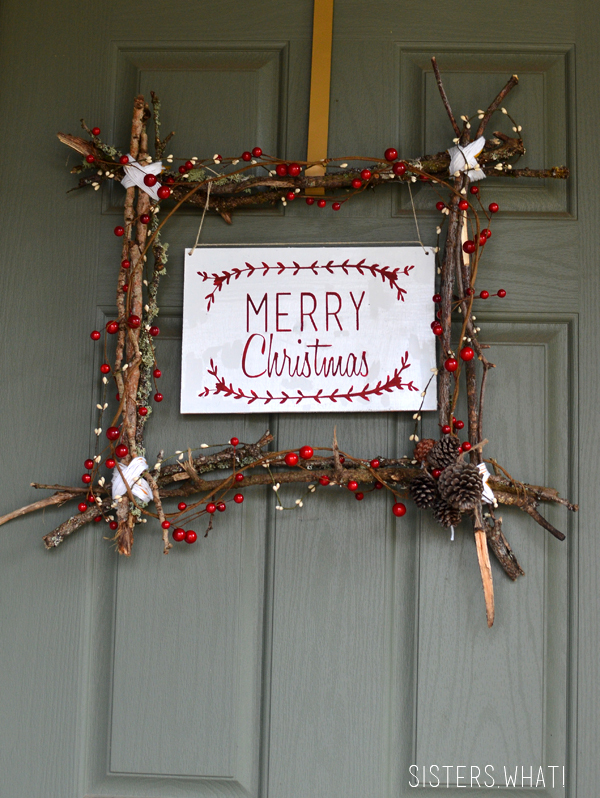 You've already seen some of my Christmas Decoration on the blog, but it's always fun to see again right. Since we've moved from apartment living to living in a house, I've realized how we really don't have very many Christmas Decorations, but I kind of like the simplicity of what we have. I'm sure I'll easy add to it over the next few years. First off is our Merry Christmas Wreath just made this year. It's probably my favorite thing ever! I love the rustic, country look of it and was super easy to make. 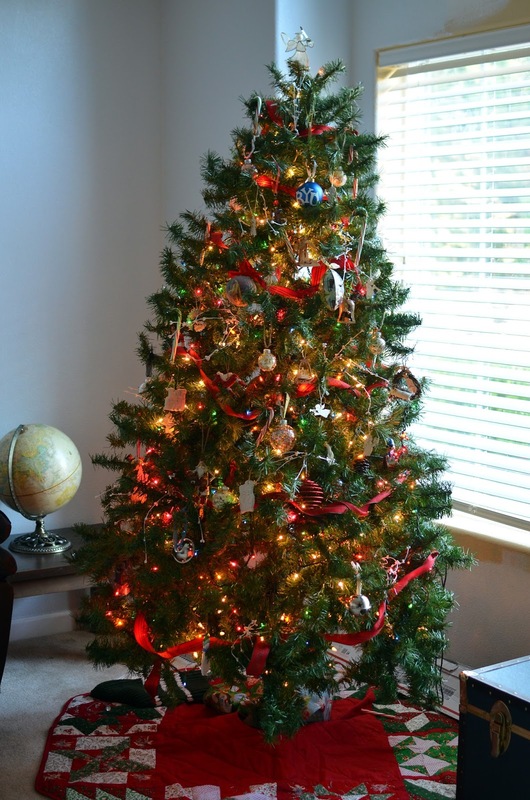 And our Christmas tree...nothing too fancy. It's hard having little ones around, but for some reason my 18 month old isn't interested in the ornaments, but I'm still nervous putting any fragile ornaments within his range. 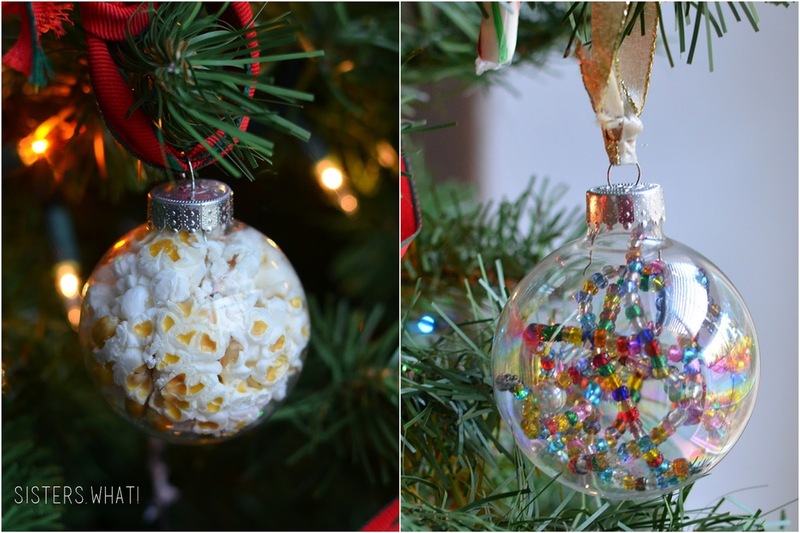 A couple of my favorite homemade ornaments are my popcorn in a ball and beaded ornament. They look so fun and are easy to make. Probably my favorite decorations this year is on our kitchen table. I got some red berries from Joann and wrapped some yarn around some sticks from our back yard and stuck it in a white pitcher. I seriously love, love, love it! Because it's red, I'm totally keeping it up through Valentines day. 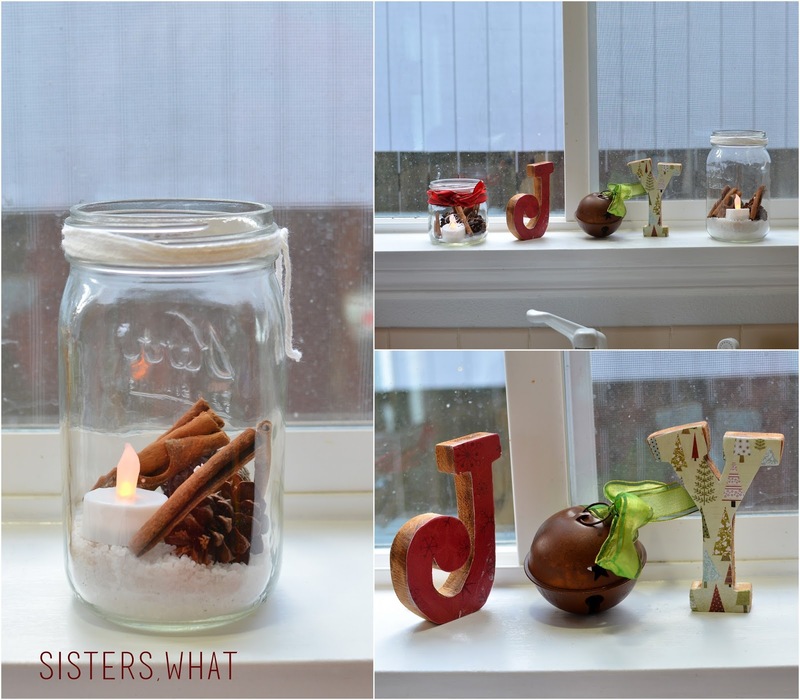 above our sink, I put a couple mason jars out with Epson salt, cinnamon sticks, pine cones and an electric candle. Simple and easy. on the piano is my little nutcracker collection. I'm kind of obsessed with Nutcrackers. The tall one on the left is a real one from Germany. The nativity is a Jim Shore. 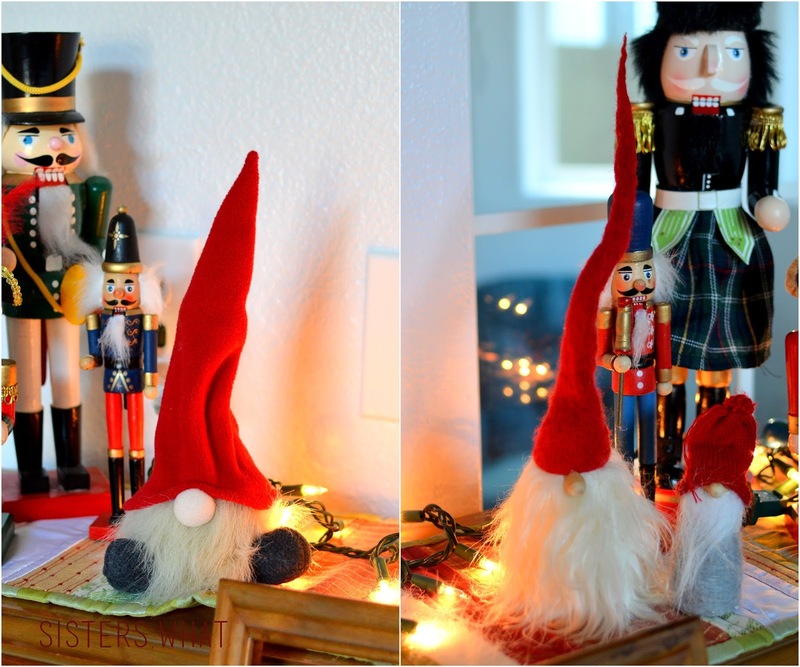 These cute gnomes I got from a Christmas Market in Germany a few years ago. They are so cute and one of these Christmas's I'm going to replicate them and make an army of them. 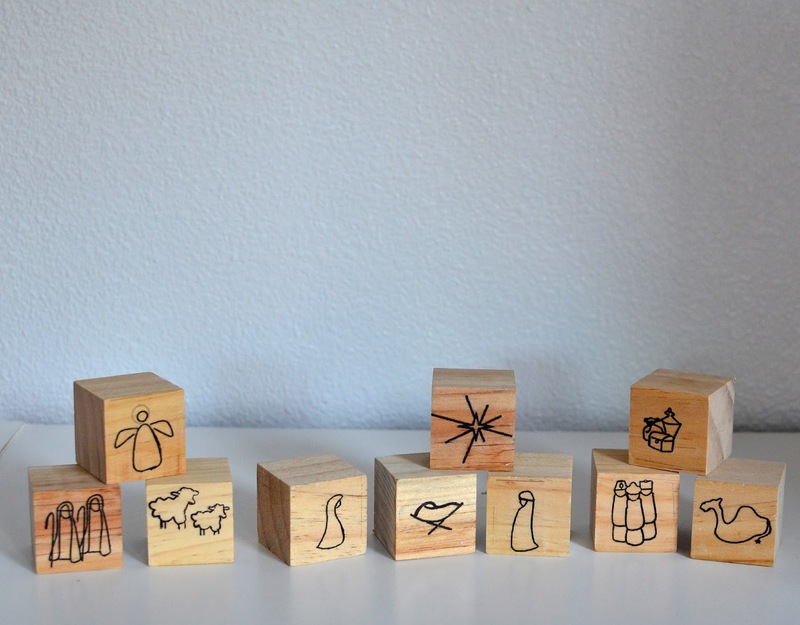 I made this Learning Nativity Set last year for the little ones. I love it and the boys love it. We use it every night during our little Christmas advent devotionals. 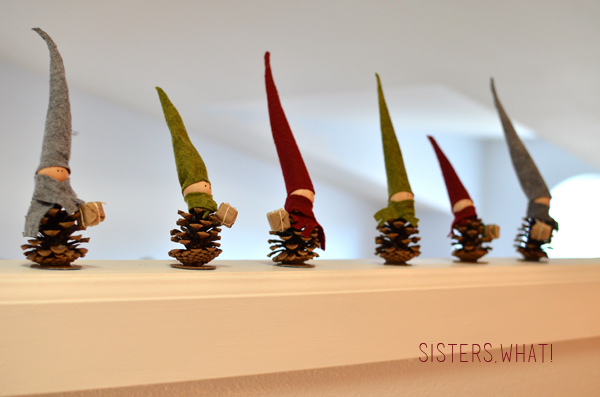 my little pine cone elves have somehow made their place of residence on the banister, they greet us every morning when we wake up. My triangle memo board has turned into our Christmas card holder. A friend gave me these cute little Christmas clothes pins a couple years ago and they are perfect for holding up the cards and pictures. You can watch the He Is the Gift video HERE (or watch below - it's only 2 minutes long). Seriously, it's so beautiful and worth watching this Christmas season. Merry Christmas! Thanks for stopping by. I hope your Christmas season is magical and full of love and kindness. Lovely! 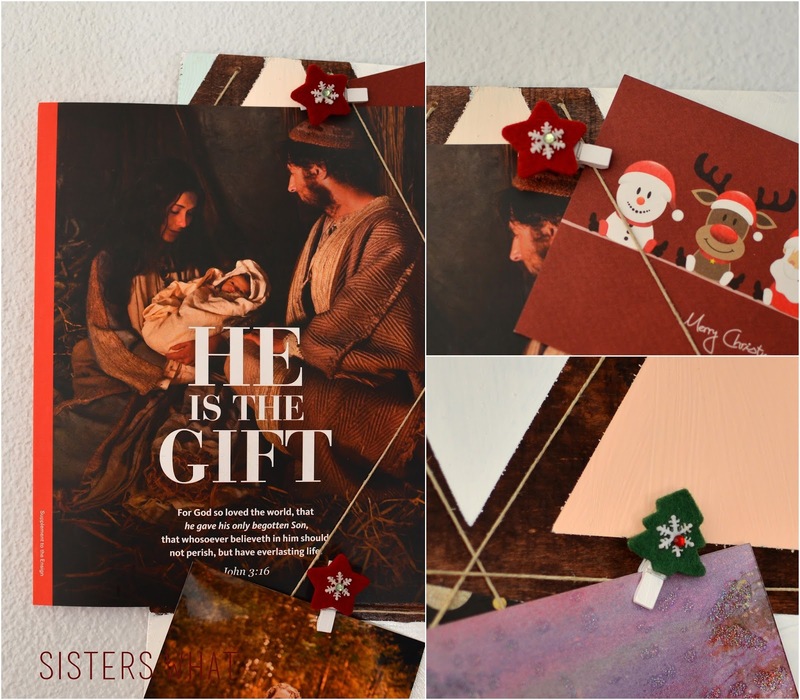 I've already pinned your elves and the nativity blocks to do next year! Love the sticks and berrys so much too! thanks Michele for coordinating the tour! Fun home tour! Still loving that wreath. Your home decor is so cute! It's simple, but your simple I like. 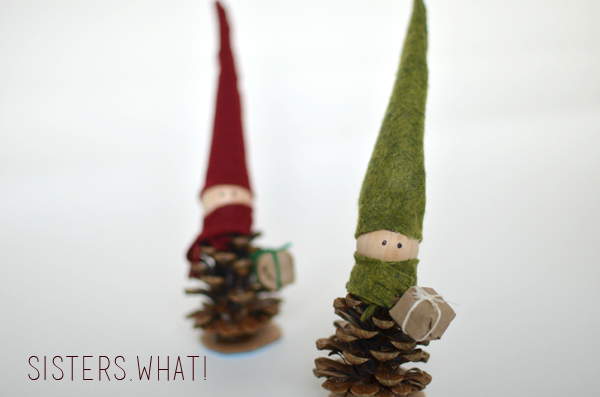 I love the little pinecone elves and your beaded and popcorn ornaments! Thanks Corinna! Simple is what I was going for. Beautiful! I really LOVE the wreath. Thank you for sharing your home with us. Thank you Grace! I can't get over the wreath either!! Beautiful! So festive! Love it. 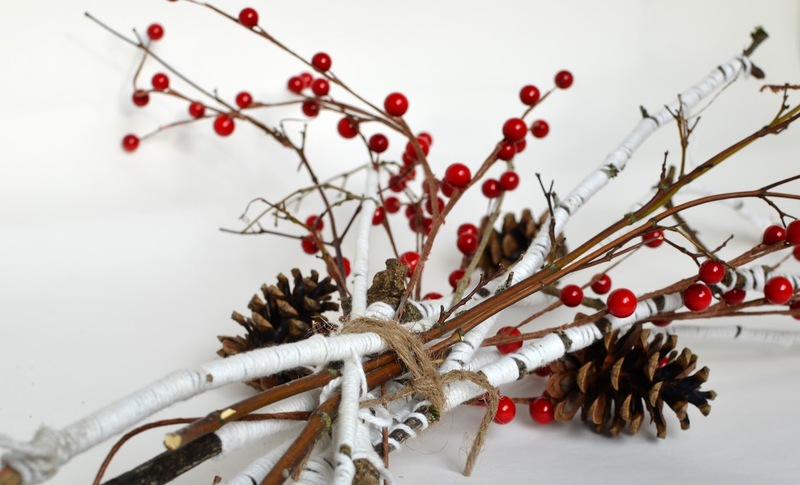 I love your blog and your home all dress for the Christmas. I imagine all the fun you have with your family as you celebrate your sisterhood & mom through your blog. I can see that your home expresses your family and life together. That is why it is so beautiful.